Dave and Becky are back at it in the "Real Wheels - High Speed Adventures", sharing their "Gee, how does that work?" 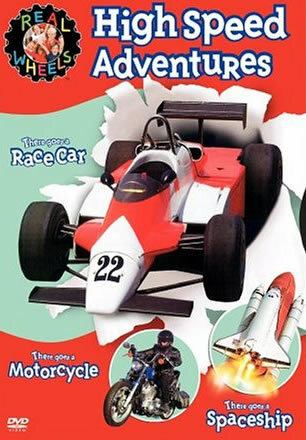 approach mixed with (campy) humor to teach kids about race cars and spaceships. These vignettes are fun to watch, have plenty of footage of the vehicles in action, and provide tons of educational takeaways that have had my little guy spouting chapter and verse about race cars and other vehicles. They're long enough to keep kids focused on the topic, but short enough that they don't 'zone out' watching TV endlessly.